Mitsubishi Motors Australia Limited (MMAL) has announced increased safety and luxury appointments to its popular compact SUV, the ASX, as part of a model year 2012 range update. The highlight of the update is the availability of a new reversing camera to entry level variants, meaning the entire ASX range in Australia now has access to this important safety feature. MMAL’s President and CEO, Genichiro Nishina, said the availability of the reversing camera across the range had been a focus of the first comprehensive update for the popular compact four-wheel drive, originally released in August 2010. “With the growth in popularity of SUV vehicles, rear view monitoring is an increasingly important safety factor, so we are very pleased to ensure a rear view camera is available on all models in the ASX line-up,” Nishina said. In addition to the availability of the rear monitoring system, the MY12 ASX gains a number of safety, comfort and style improvements as part of the 2012 model year upgrade, including new seat trims, new rear-seat centre armrest with cup holders and new interior finishes. Within the two- and four-wheel drive, diesel and petrol variants available in the ASXline-up, it is the entry level two-wheel drive ASX which has seen the greatest change. The 2WD variant is the most popular model in the ASX range, claiming just on 70 per cent of sales. Given the high demand, MMAL decided to introduce two optional packages featuring upgraded specifications for the 2WD model. The first is the Convenience Pack which includes reversing sensors, Bluetooth 2.0 hands-free phone system with steering wheel controls, along with steering wheel mounted audio controls – available for a retail price of $500. The second is the Luxury Pack which also includes steering wheel mounted Bluetooth hands-free phone and audio controls, and adds the electro-chromatic mirror with rear view monitor, leather seat trim, heated front seats, and power operated driver’s seat. The Luxury Pack adds exterior improvements including 17 inch alloy wheels and front fog lamps and a chrome exterior package which has all the visual enhancements normally reserved for the top-of-the-line Aspire ASX. These include a fog lamp bezel, radiator grille details and belt line moulding. The Luxury Pack can be added to the 2WD ASX variant for a retail price of $3,700. Further upgrades are continued across the ASX four-wheel drive range, with 4WDvariants (both diesel and petrol) gaining the electro-chromatic mirror with rear view monitor, as well as receiving updated trim material and rear seat armrests with cup holders. The top of the range Aspire, while already sporting just about every luxury appointment you could imagine – including the Mitsubishi Multi Communication System, which already features a rear view camera – receives a little extra “bling”in the form of some chrome touches to the instrument cluster and panel. Remaining unchanged is the engine line up with the two-wheel drive sporting a fuel-efficient 110kW/197Nm 2.0-litre petrol engine that drives the front wheels through a choice of either five-speed manual gearbox or smooth stepless Continuously Variable Transmission (CVT). The mid-range ASX 4WD is powered by a 1.8-litre diesel engine which enjoys the best fuel efficiency in its class. This economical performance is achieved via the variable valve timed diesel engine which features Mitsubishi’s MIVEC system. With maximum outputs of 110kW of power and 300Nm of torque, the turbo diesel engine, mated to a six-speed manual gearbox, returns an official ADR 81/01 fuel consumption of just 5.9-litres per 100 kilometres and CO2 emissions of only155grams per kilometre. The 2.0-litre petrol engine with CVT and the 1.8-litre diesel engine with six-speed manual transmission are offered as standard on both the ASX 4WD variant and the top of the range ASX Aspire. The introduction of the availability of a reversing camera across the ASX range underlines Mitsubishi’s commitment to making the ASX line-up as safe as it can be. Already highly specified from a safety viewpoint, the ASX range includes Mitsubishi’s acclaimed RISE (Reinforced Impact Safety Evolution) structure, and combines an extensive array of safety features fitted standard across the range including ASTC (Active Stability Control with Traction Control), Hill Start Control system, ABS, Electronic Brake Distribution, Brake Assist, and seven airbags, including driver and passenger front, side and curtain, and driver knee airbag. The three-model line-up of ASX 2WD, ASX 4WD and ASX Aspire are all comprehensively equipped for superb comfort and convenience with the ASX 2WDdesigned to perfectly complement a city lifestyle. Standard features include fully automatic climate control air-conditioning with air filter, cruise control, front and rear electric windows and exterior mirrors, electric tailgate opener, AM/FM radio/CD/MP3 player with auxiliary and USB inputs, variable intermittent windscreen wipers, tilt and telescopic steering column adjustment and 16-inch alloy wheels. For those who wish to venture off the beaten track, the four-wheel drive ASX is the vehicle of choice. In addition to the Mitsubishi AWD electronically controlled four-wheel drive system, the ASX 4WD models also gain front fog lamps, Bluetooth 2.0handsfree phone connectivity with steering wheel mounted controls, steering wheel mounted audio controls, and rear parking sensors. The top of the line all-wheel drive ASX Aspire combines all the safety, versatility, and comfort features of the ASX 4WD and adds a number of luxury features that are rarely found in this class of vehicle. These include leather seats with seat heating for driver and front passenger, power driver’s seat, keyless operating system with a one-touch start, rain sensing automatic windscreen wipers and dusk sensing automatic lights, 17-inch alloy wheels, privacy glass, and chrome accents for the radiator grille and belt line moulding. The ASX Aspire also features a premium Rockford Fosgate audio system with nine speakers and the Mitsubishi Multi Communication System (MMCS), which includes satellite navigation, DVD with video input, Bluetooth 1.0 handsfree phone connectivity with steering wheel mounted controls, iPod integration and control, and reversing camera. The MMCS also allows you to customise a number of vehicle functions, including wiper control, auto unlock functions and climate control. 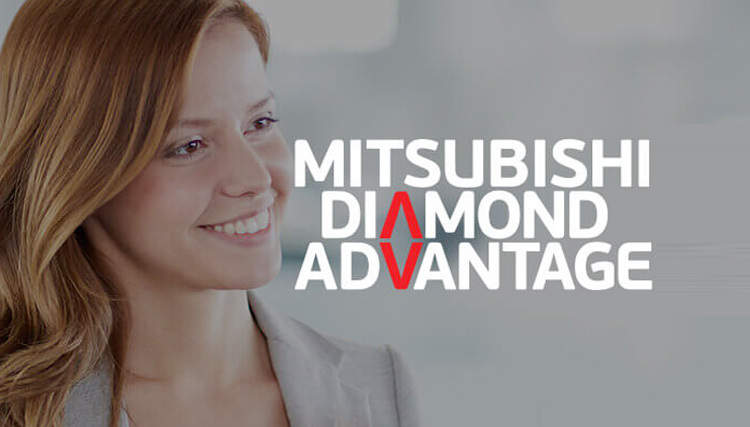 Mitsubishi provides its industry leading warranty on all ASX vehicles, including a comprehensive five year/130,000 km whole vehicle warranty, backed up by its 10 year/160,000 km powertrain warranty and a five year/130,000 kilometre roadside assistance package. MMAL’s President and CEO, Genichiro Nishina said the MY12 ASX upgrades make a good vehicle even better. “Since its release in 2010, the ASX has proved very popular and thousands of the vehicles have been sold in the Australian market. This MY12 update includes many improvements to the ASX, making it the perfect city-sized SUV,” Nishina said.